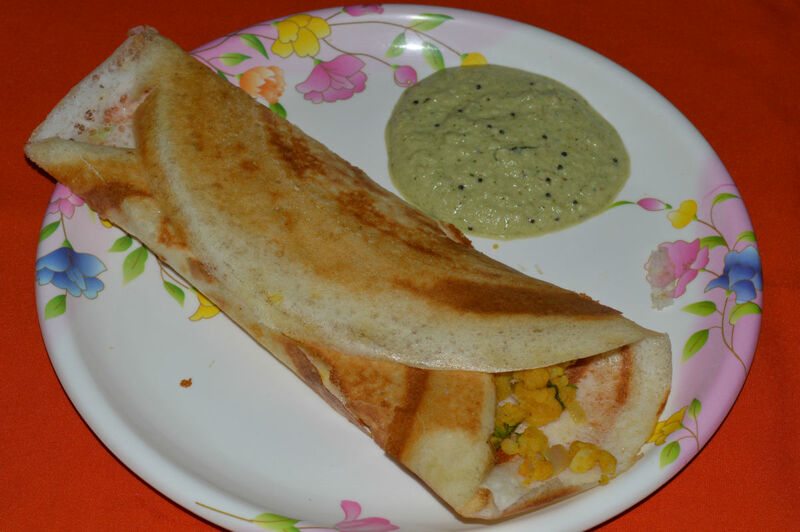 Looking for a hearty, but healthy breakfast for your family? 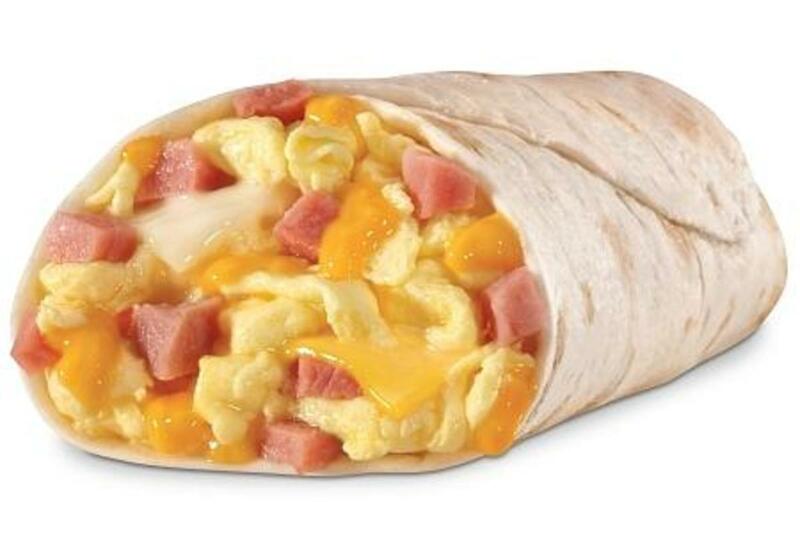 Don't even think fast food - think easy breakfast burritos. In 15 minutes, you can have a meal that will fill you up with healthy protein to power you on your day. They say that breakfast is the most important meal of the day. After 10-12 hours of fasting, you are literally "breaking the fast," with your first bite in the morning. A breakfast loaded with sugar can boost you up quickly, but result in a crash later, leaving you groggy and hungry. Just the right balance of carbohydrates and protein will energize you and keep your blood sugar at a nice, even and consistent level. My tip? Save the sugary breakfasts for the weekend! This breakfast burrito recipe contains all four of the main food groups: dairy, lean protein, grains and vegetables. The beauty of it, however, is that you can tweak your meal preparation to fit your unique tastes and dietary requirements. 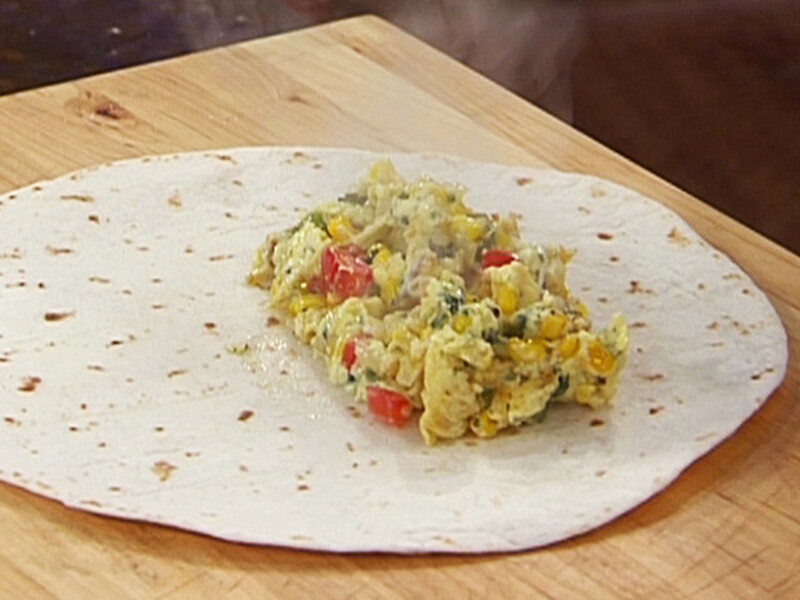 This recipe makes 4 breakfast burritos - perfect for a busy family! In less than 1/2 hour, you can go from start to finish and out the door. 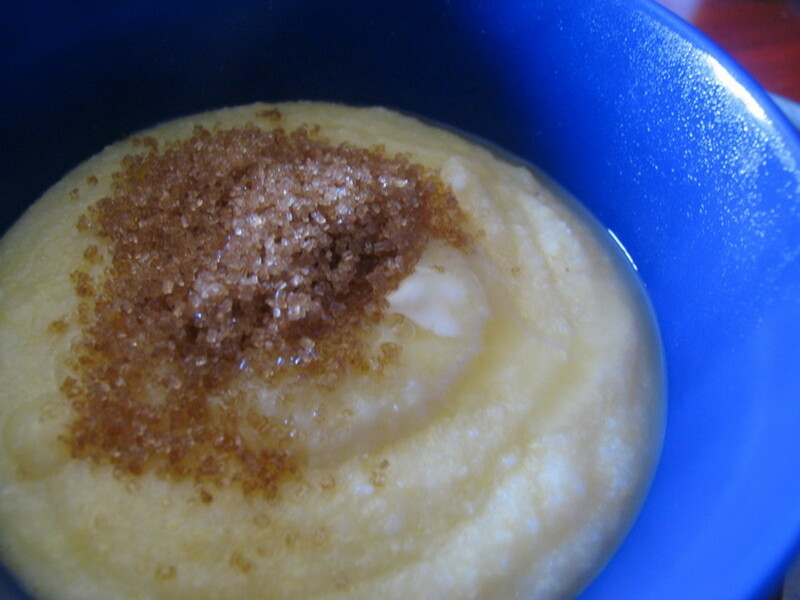 My kids love this recipe and ask for it often! 1. In a medium sized bowl, stir eggs and milk together with a fork, breaking up the yolks (if desired, this recipe can be made with egg whites only - separate the yolks out before adding to the bowl and discard or save yolks for another recipe). Salt and pepper, if desired. 2. Spray a fry pan with non-stick coating and add egg mixture. Cook eggs over medium-low heat, stirring continuously until eggs are done. Stir in grated cheese and pre-cooked ham or turkey, and taco seasoning. Remove from heat and set aside. Clean the fry pan, removing egg remnants. 3. Using the same fry pan, spray again with non-stick coating (or, melt 1-2 T of margarine or butter over medium low heat). Add each tortilla wrap, one at a time and cook over medium heat, about 3 minutes each side. Remove from heat and keep warm. 4. In the center of each tortilla, place about 1/3 c. of the egg mixture, sprinkle chopped tomatoes, onions and herbs over the top and salt and pepper if you wish. Fold the bottom of the tortilla up about 1/4, and then fold in the sides, then roll. 5. Serve with fresh tomato salsa, sour cream, or hot sauce, if desired. What's going in your breakfast burrito? The original breakfast burrito recipe above is fairly low-fat (less than 8 grams of fat for each burrito), and sensible in calorie count (about 300 calories per burrito). Go meatless or use tofu instead of meat for a tasty veggie burrito! One word: bacon. Sure, its not low-fat, but so tasty and delicious! Change up the herbs and spices - parsley, thyme, or rosemary are good bets. Try stirring in a pinch of curry, or chipotle for something really unique! I found this Smoked Salmon and Cream Cheese breakfast burrito recipe on YouTube - guess what we're making at our home this weekend? 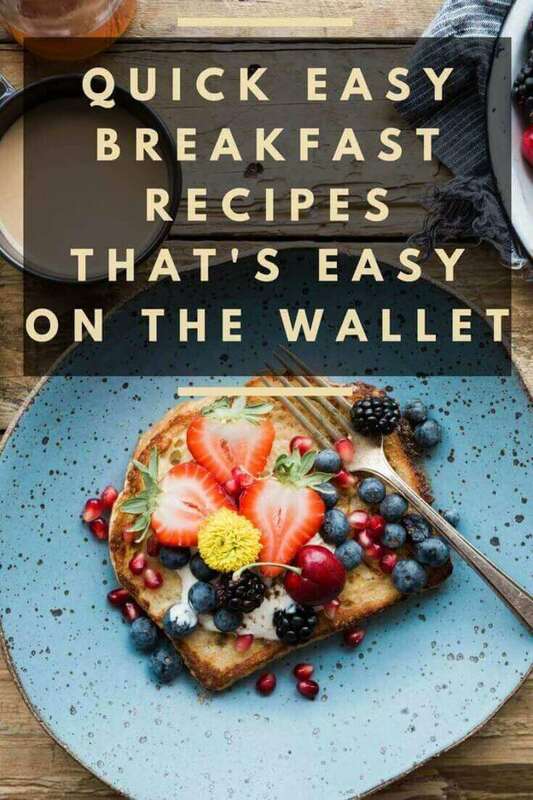 Now that you know how easy it is to make breakfast burritos, and how you can use healthy ingredients to start your day off right, its time to stir things up in your kitchen! 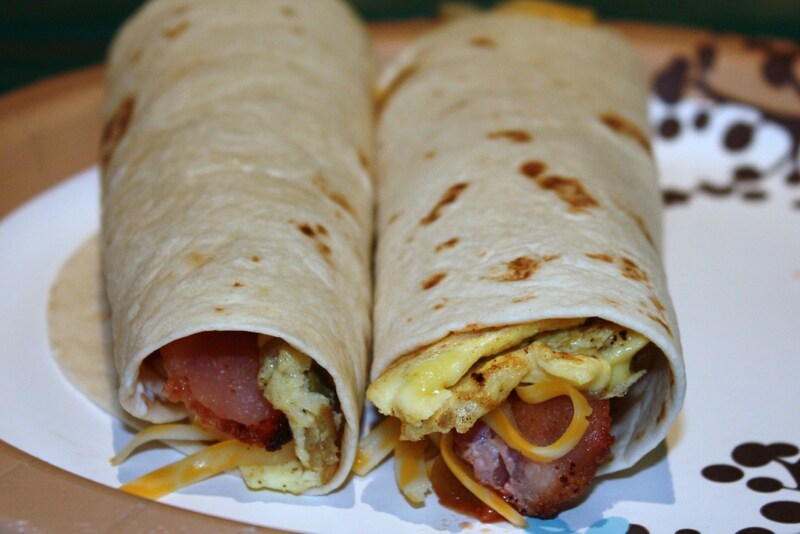 What ingredients would you include in your own breakfast burrito? Take the poll to the right, or add your own creative comments below! 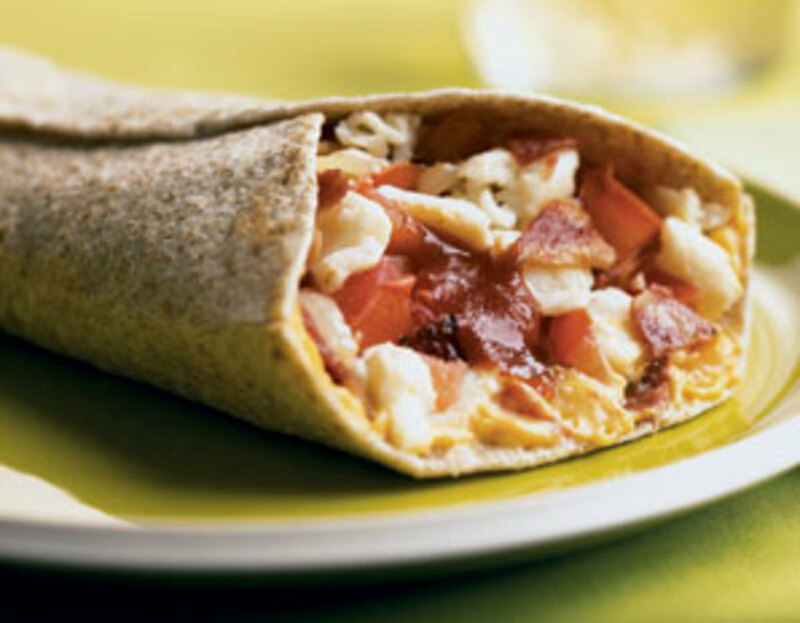 Your breakfast burrito can be as healthy as you make it! I love, love, love this. My diet is so restricted that I was concerned about this Thanksgiving when my family will be here for four days. Breakfast has always been a problem for me, creative-wise. You have given me some wonderful ideas. I am always looking for new ideas when it comes to breakfast. I get sick of just eating toast or oatmeal. I have never made burritos before, but this recipe seems easy enough and straightforward. I also like the whole grain tortillas..Feel less guilty. I suppose you could use just eggwhites if you cannot have yokes. Anyway they look yummy and worth a try. I love breakfast burritos, I will have to try your recipe. Voted up and useful. I'm glad I found this Hub on this Sunday morning! I'm going into the kitchen right now and try it out. I'm not real good at rolling a burrito, so I have to go back and check out the video again. I gave this 4 stars! The photos are tempting. You make the whole procedure so clear cut and simple. Will be trying soon. Voting up as useful and awesome. Thanks for sharing. Sharing this hub too on twitter and FB. Pinned it too on pinterest. Wow!! Looks tempting and very delicious..wow! Great hub! Breakfast burritos are great. I like mine with lots of onions and peppers, no egg. I use sausage in mine with salsa to top it off. Wonderful for on the go. Thanks for publishing your recipe. Hey thanks everyone! Yes, I agree that chili sauce is delicious. This recipe was created with kids in mind - but adults.... have no fear. My husband loves to douse his in Tabasco or other hot sauce. 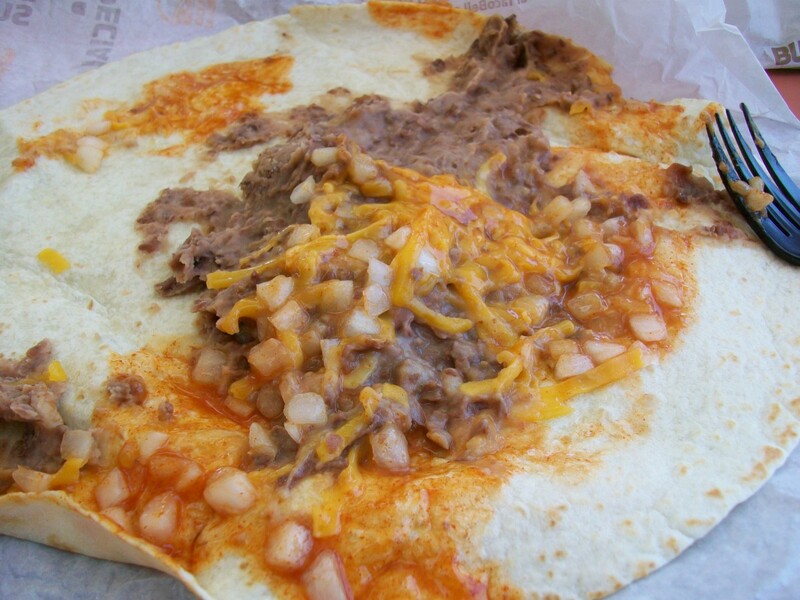 This hub looks great and all, but in New Mexico, it is a travesty against the culinary genre of breakfast burrito to go without green or red chile! I was disheartened to see a lack of hashbrowns or beans as well. Instead of feeling sad, I recommend to everyone who reads this far to make their own New Mexican variation on this classic. Get some chile, potatoes, and beans with those eggs and life will be just so much better. Yum! I think I'd eat this more for a brunch thing, or even dinner (minus the meat, of course). ....We often have "breakfast" for dinner. For breakfast, I prefer things on the sweet side--danish pastries, cereal, donuts, etc.. But, just because I don't want this for breakfast, doesn't mean I don't want to try it at another meal! I love breakfast burritos! That recipe looks so tasty. The ingredients can be so flexible! Wonderful hub. Great photos. Well done as always. Many votes and sharing! It has meat in it; that's all I need to know. Great recipe and I'll be trying it soon. This sounds so good that I'm gonna try the recipe right now. I'll make it with left over ham from Easter. I'm so excited! Thanks for the great information and I am bookmarking it. This sounds yummie, I will have to try it for sure. Thanks for sharing! I'm always looking for protein packed breakfasts to give our family a good start each day. Thanks for sharing this! I need Easy, so your headline was perfect! Enjoy Vangor- hope you love these breakfast burritos! Great post! Thanks for the recipe. I'm going to give it a try. These sound yummy! And since they're portable, they'd be great for meals on the go! Yummy! Smoked salmon breakfast burrito is going to be a big winner around here. What a nice YouTube find, Steph. Just thinking that you could chop the ham, tomato, and onion and shred the cheese the night before for an even shorter breakfast prep time. very hard to beat that for breakfast. I like those variations a lot too with a little bit of tomato.